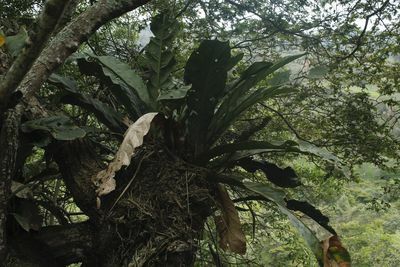 Plants usually an epiphyte or climbing hemiepiphyte, less often lithophyte or terrestrial; stem aerial, not tuberous or rhizomatous; petiole geniculate at apex; higher order leaf venation clearly reticulated, submarginal collective veins usually present, tissues without trichosclereids; flowers bisexual, with obvious perigone of four free tepals; spathe simple, spreading, reflexed or erect; spadix uniform in appearance with flowers of only one type; berries exserted when mature; seeds with copious endosperm; Neotropical range. 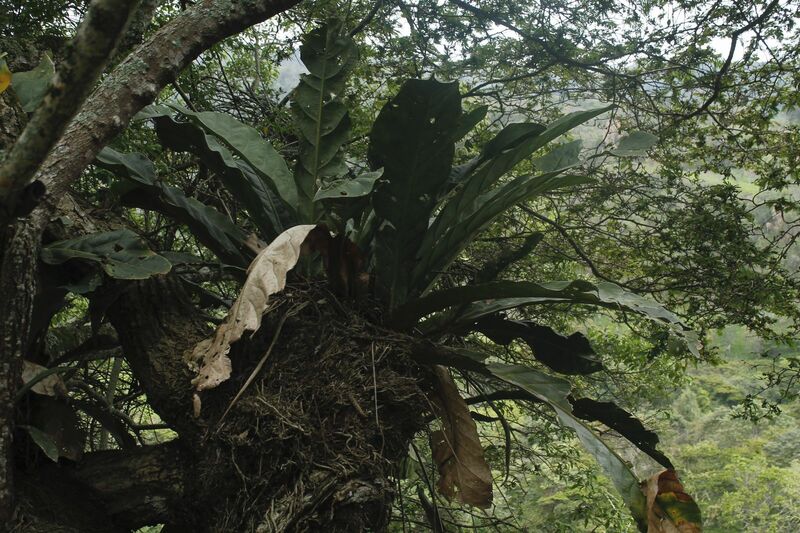 Tropical humid forest, especially diverse in cloud forests; climbing hemiepiphytes, terrestrial on forest floor, epiphytes, lithophytes, rarely helophytes or rheophytes. Argentina Northeast, Belize, Bolivia, Brazil North, Brazil Northeast, Brazil South, Brazil Southeast, Brazil West-Central, Central American Pac, Chile Central, Colombia, Costa Rica, Cuba, Dominican Republic, Ecuador, El Salvador, French Guiana, Guatemala, Guyana, Haiti, Honduras, Jamaica, Leeward Is., Mexico Central, Mexico Gulf, Mexico Northeast, Mexico Southeast, Mexico Southwest, Netherlands Antilles, Nicaragua, Panamá, Paraguay, Peru, Puerto Rico, Southwest Caribbean, Suriname, Trinidad-Tobago, Venezuela, Venezuelan Antilles, Windward Is. Anthurium alcatrazense Nadruz & Cath. Anthurium ameliae Nadruz & Cath. Anthurium angustifolium Theófilo & Sakur. Anthurium balslevii Croat & J.Rodr. 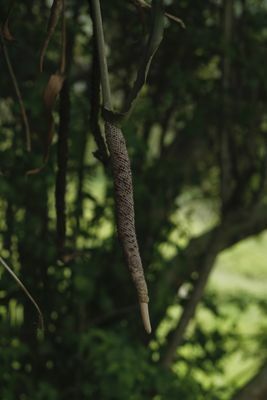 Anthurium cachoeirense Theófilo & Sakur. Anthurium coicoyanense Croat & Ávila Blomb. Anthurium coripatense N.E.Br. ex Engl. Anthurium cupulispathum Croat & J.Rodr. Anthurium dombeyanum Brongn. ex Engl. 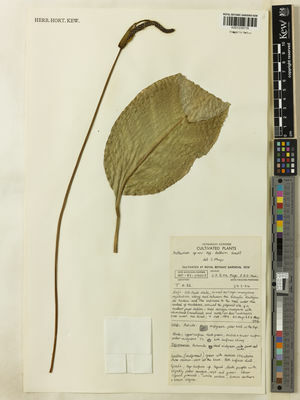 Anthurium ensifolium Bogner & E.G.Gonç. 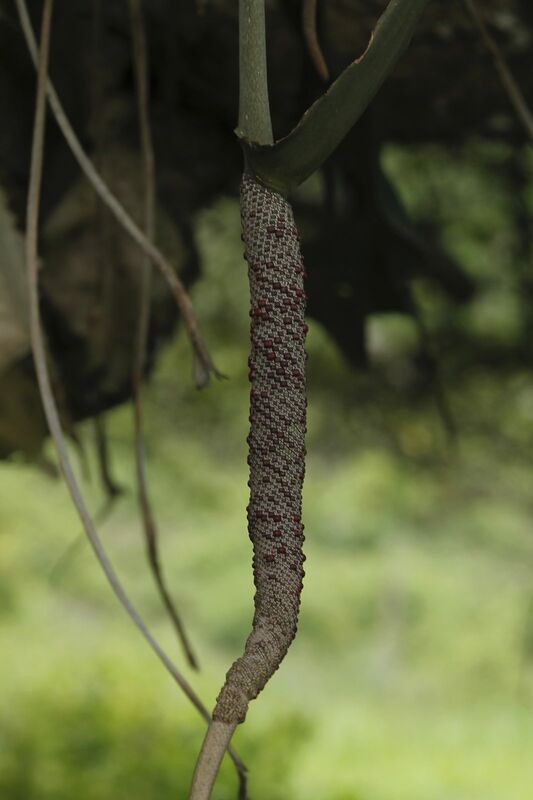 Anthurium funiferum Klotzsch & H.Karst. ex Engl. Anthurium hebetatilaminum Croat & J.Rodr. Anthurium jaramilloi Croat & J.Rodr. 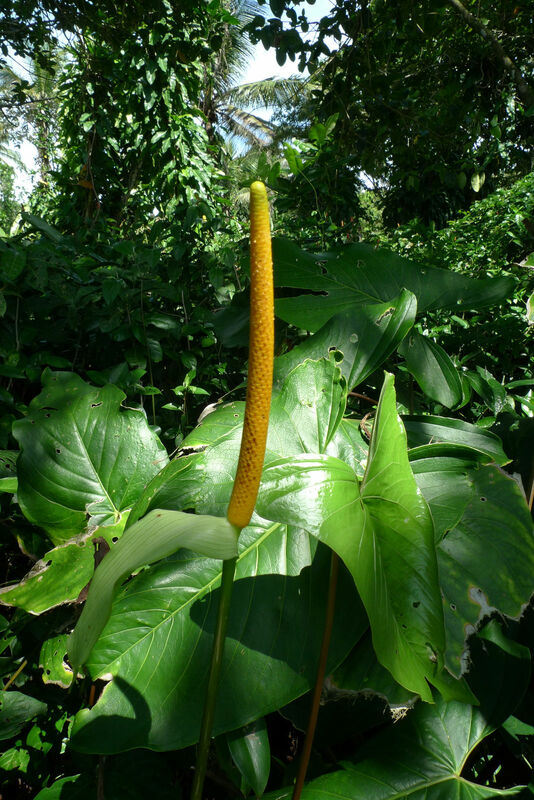 Anthurium lievenii Regel ex Engl. Anthurium magnifolium Croat & J.Rodr. Anthurium mateoi Croat & N.Altam. Anthurium monteagudoi Croat & N.Altam. Anthurium moonenii Croat & E.G.Gonç. Anthurium nigropunctatum Croat & J.Rodr. 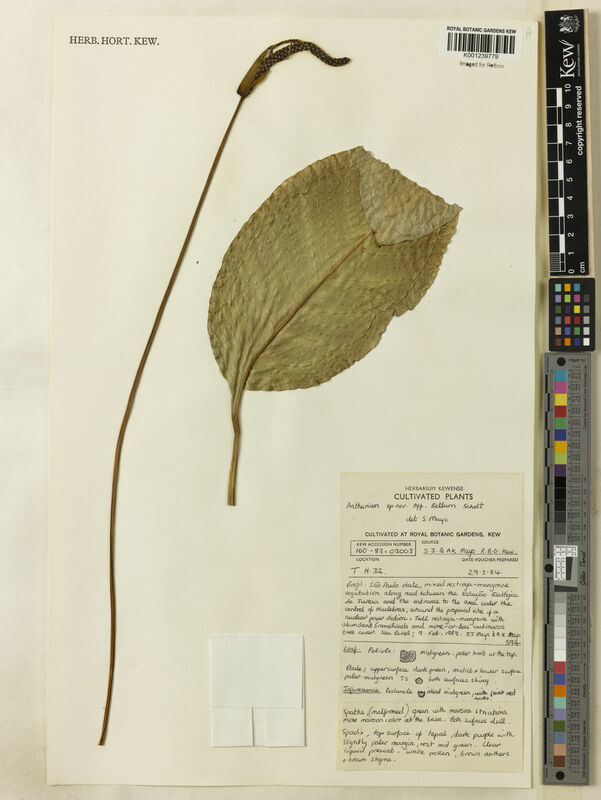 Anthurium retiferum Standl. & Steyerm. 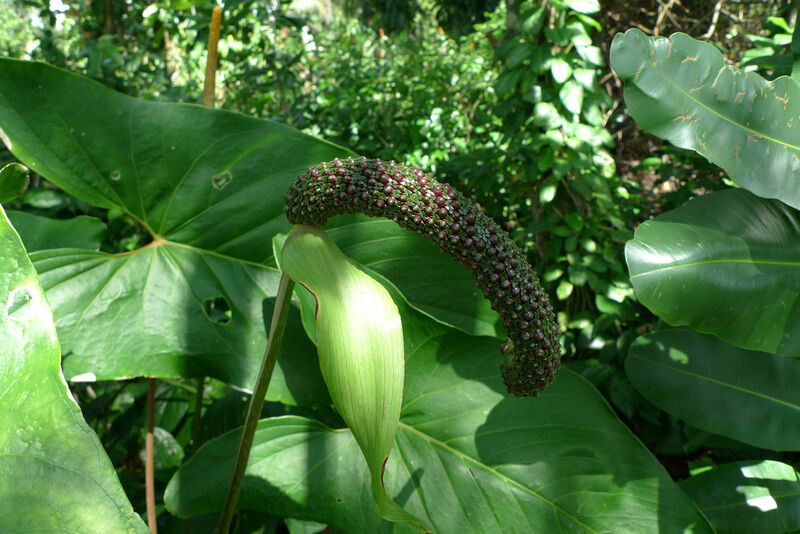 Anthurium roraimense N.E.Br. ex Oliv. Anthurium silanchense Croat & J.Rodr. Anthurium silvigaudens Standl. & Steyerm. Anthurium titanium Standl. & Steyerm. Anthurium unense Nadruz & Cath. Anthurium valenzuelae Croat & N.Altam. Anthurium victorii Nadruz & Cath. Anthurium viridivinosum Theófilo & Sakur. Nadruz Coelho, M.A., Waechter, J.L. & Mayo, S.J. (2009). Revisão taxonômica das espécies de Anthurium (Araceae) seção Urospadix subseção Flavescentiviridia Rodriguésia; Revista do Instituto de Biologia Vegetal, Jardim Botânico e Estaçao Biologica do Itatiaya 60: 799-864.